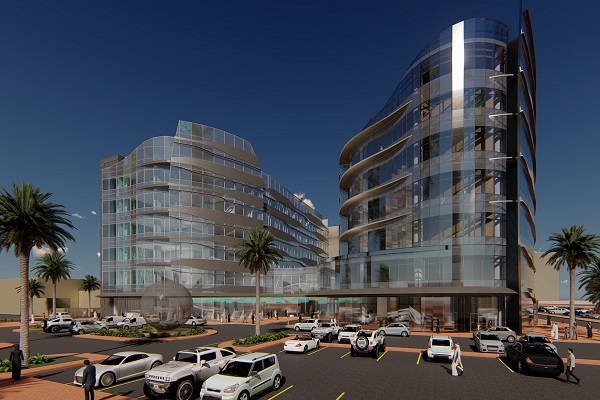 United Eastern Medical Services (UEMedical) has announced the second phase of expansion of its Danat Al Emarat Hospital for Women and Children in Abu Dhabi. This phase includes the construction of a new tower with a capacity of 100 beds, at a total cost of Dh300 million ($82 million). The new tower will be adjacent to the current hospital building located in Abu Dhabi Gate City and will be operational by mid 2020. The project has been designed by renowned American architectural firm HKS, which designed the existing tower of Danat Al Emarat in addition to Amar Golden Design. He pointed out that the second phase of Danat Al Emarat Hospital for Women and Children will be a new addition to women and children healthcare services, increasing the overall capacity of beds, especially number of advanced NICU beds, as well as bringing in pediatrics subspecialties and improving the services provided to women and children in the Emirate. UEMedical CEO and managing director Mohammed Ali Al Shorafa Al Hammadi said the construction was likely to begin in the next three months. "Once the second tower gets completed, the total number of hospital beds will increase to 225 beds covering various specialties. With that, UEMedical's assets will increase to Dh2.5 billion," he added. The expansion project comes following detailed studies in co-operation with the Department of Health Abu Dhabi, identifying specialties needed, capacity gaps and beds required especially in the fields of pediatrics and obstetrics and gynecology. "Danat Al Emarat Hospital is considered as a referral centre for high-risk pregnancies, encompassing a full fledge department of fetal medicine, level III Neonatal Intensive Care Unit, pediatric surgery and pediatrics subspecialties needed for newborns and older children up to adolescence such as pediatric cardiology, speech language therapy, pediatric allergy and more," stated Al Hammadi.